If you didn’t know, I love fall! I’ve been pleading with the weather to get cooler so I can pull out the fall decorations! (Come on, Florida weather!) Today, I whipped up this adorable SVG file for you. Like always, you can use it for commercial use – but you cannot sell the file. Wondering about the font? 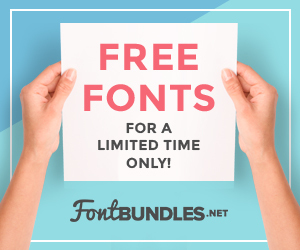 It’s a font trio that you can find at this link.